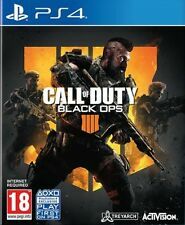 CALL OF DUTY BLACK OPS 4 PS4 VIDEO GAME NEW & SEALED!!! Whether it's in the snowy peaks of Russia or in the burning landscape of Hue City, your actions help drive fellow units to victory. Condition - Good - Light scratches on the disk. Call Of Duty Black Ops 4 Xbox One . Condition is Like New. Dispatched with Royal Mail 1st Class Large Letter. Specialist Edition includes Specialist Outfit. Please check my other listings for a reduced price for 4 codes. 30 minutes Double XP for Black Ops 4. Works on all platforms. Will be sent quickly via message, but if the response is late please be patient. 30 Minutes of Double XP Codes Instantly! 30 MIN DOUBLE XP. FROM DEVELOPER ACTIVISION. CASE AND DISC ARE BOTH LIKE NEW. We will make every effort to rectify any issues you may have. We will gladly attempt to rectify the situation for you. May or may not include a manual. TESTED AND IN PERFECT WORKING ORDER. call of duty black ops 4 xbox one. Condition is Very Good. Dispatched with Royal Mail 1st Class Large Letter. 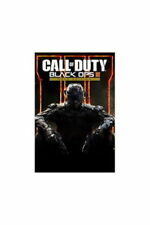 Call Of Duty Black Ops 3 PS3. Condition is Very Good. Dispatched with Royal Mail 1st Class Large Letter. Slip-case has a little wear. 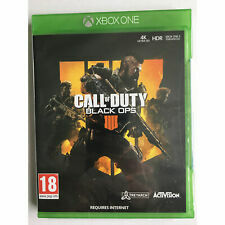 call of duty black ops 4 xbox one. Condition is Very Good But no manual . Dispatched with Royal Mail 2nd signed for Class Large Letter. We pride ourselves on our reputation for ensuring all orders are quickly processed and despatched. In special circumstances this may not be possible. Manufacturer Part Number: 5027669553024. In special circumstances this may not be possible. 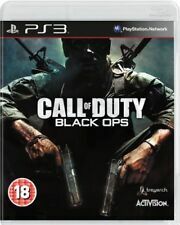 Call of Duty Black Ops - Playstation 3 PS3. 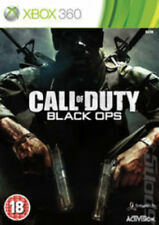 Call Of Duty Black Ops Bundle - 1 & 3 (III) (Sony PlayStation 3 (PS3) in good condition. Item Includes both COD Black Ops 1 & 3, complete with their game disc, game box, instructions booklet manual and for Black Ops 3, a promotional paper insert. Item will be sent free postage! Any questions please ask. GREAT EDITION IN VERY GOOD CONDITION, I HAVE PUT GOOD AS THERE ARE A FEW VERY SMALL THINGS!! THE OUTER COVER IS INTACT AND SHOWS SIGNS OF STORAGE!! EVERYTHING ELSE IS IN VERY GOOD CONDITION, THERE ARE NOT DENTS IN THE STEEL CASE BUT JUST A LITTLE PAINT DAMAGE AS IVE SHOWN IN THE PICTURE!! MEDAL IN EXCELLENT CONDITION!! 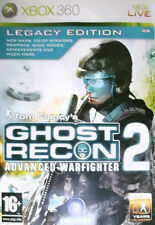 TRUSTED EBAYER,GREAT GAMES,GREAT PRICE AND WILL DISPATCH QUICKLY!! call of duty black ops 4 xbox one. Condition is Like New. Dispatched with Royal Mail 1st Class Large Letter. Call Of Duty Black Ops 4 For Xbox One. Condition is Good. Dispatched with Royal Mail 2nd Class Large Letter. Call of Duty Black Ops 4 - Sony PlayStation 4 PS4 in good used condition. The disc is near mint and plays fine on my PS4. Posted via Royal Mail 1st Class Signed For. Call Of Duty Black Ops 2 Hardened Edition PS3 - Complete In great condition! Fast dispatch! 2 hours Double XP for Black Ops 4. Works on all platforms. Will be sent quickly via message, but if the response is late please be patient. 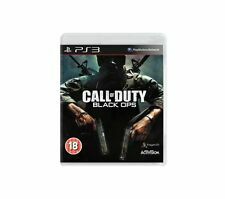 Call of Duty Black Ops 3 COD PS3 excellent next Day Dispatch via Fast Delivery . Condition is Like New. Dispatched with Royal Mail 1st Class Large Letter.